Oily Rag Theatre's first official production under our official name. Response to this challenging play was mixed (see the reviews below) but we are not inclined to take the path of least resistance. 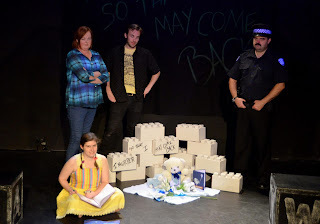 Thanks and gratitude to everyone who supported us, especially Martha Lott and Holden Street Theatres. 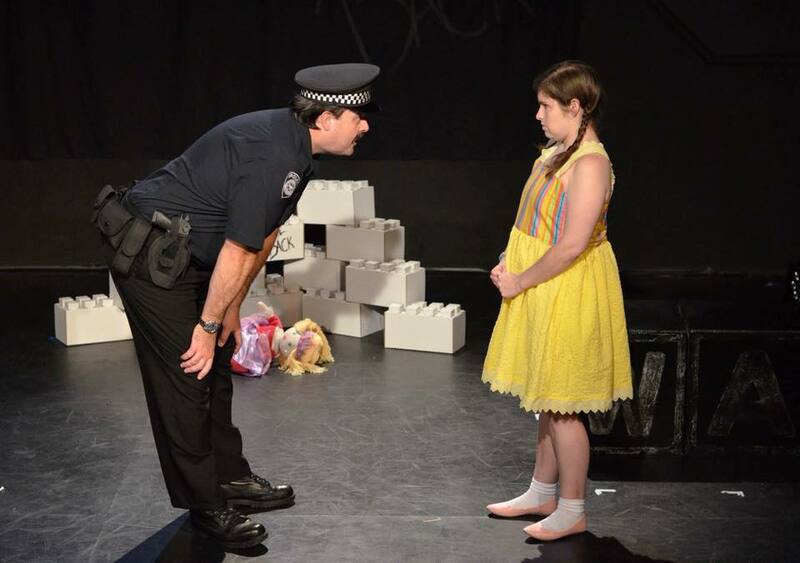 A small boy is found dead in a popular children's play spot and suspicion quickly falls on nine-year-old Lizzie Gael. Local policeman Ray is already set against Lizzie due to recent antisocial behaviour. Her father Warren is outraged at what he perceives as a witch hunt against his daughter. But her mother Angela finds herself torn between a natural instinct to protect her child and a growing fear that Lizzie did the deed. Lizzie herself can only give increasingly strange and contradictory accounts of her movements on the day in question, and wakes up screaming from nightmares in which a menacing "Wolf" looms out of the darkness to devour her. 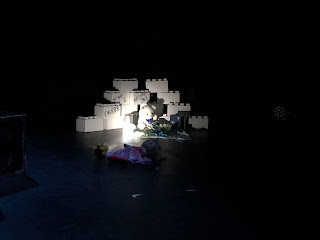 Inspired by real events, Hilary Bell's Wolf Lullaby explores themes including parental responsibility and the "nature versus nurture" debate, and asks the audience to consider what they would do if they suspected a loved one, especially a child, of an unthinkable crime. Wolf Lullaby although about a murder is not a "whodunnit" so much as a "whyhappen" and even then it does not offer up easy answers to the pivotal question of how such a tragedy as a child killing another child can occur. Lizzie, age nine, is unable to articulate her capacity for violence beyond a dread of the monstrous Wolf that haunts and compels her. Her parents clash over whether they can even believe their daughter could do something so terrible, who or what is to blame, what to do. A local policeman embodies the perspectives of the authority figures who would be involved in such an incident, as well as the wider community. Although the subject matter and scenario is confronting, I hope we succeed in conveying to you the humanity of all these characters, including Lizzie. Shannon and I have followed Bell's suggestion that the set be uncomplicated (a happy author's note for a tiny group with limited resources!) and her intention that the role of Lizzie be played by an adult actress rather than an actual child. 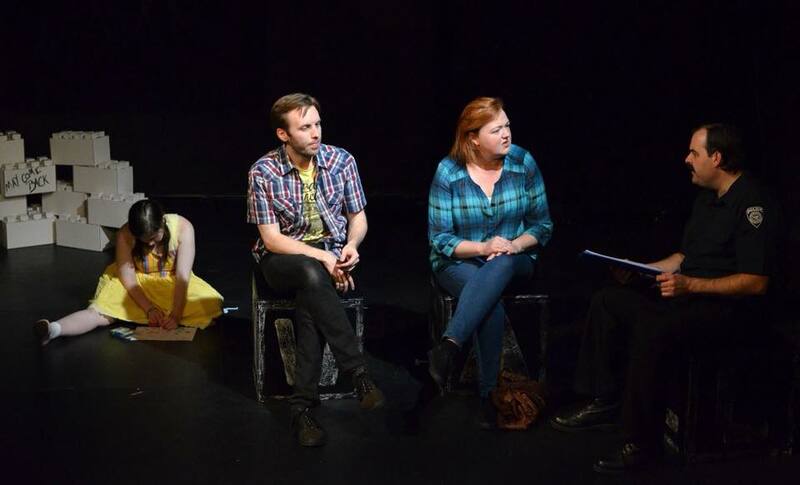 "Oily Rag Theatre is to be congratulated for undertaking a play which stretches the audience and opens up so many lines of discussion. Good theatre should always achieve this." 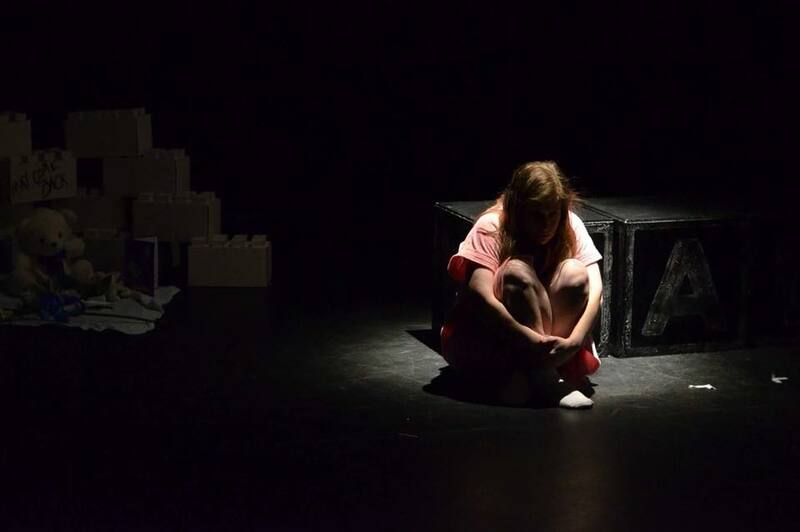 "Choosing a script for your theatre company’s premiere production is a big one, as it often determines what to expect from you in future. 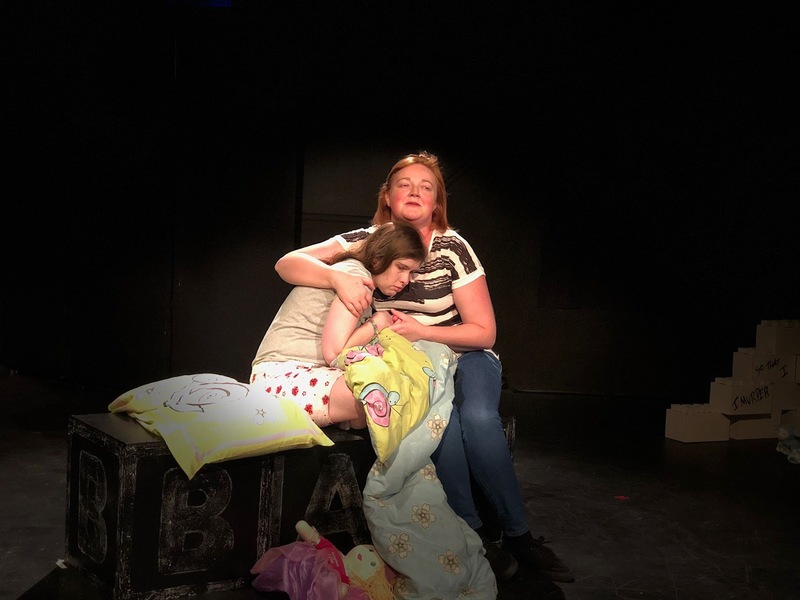 Oily Rag Theatre’s decision to stage Wolf Lullaby was a bold and quality choice that firmly establishes this company as one that will continually thoughtfully provoke their audience to confront their own humanity. 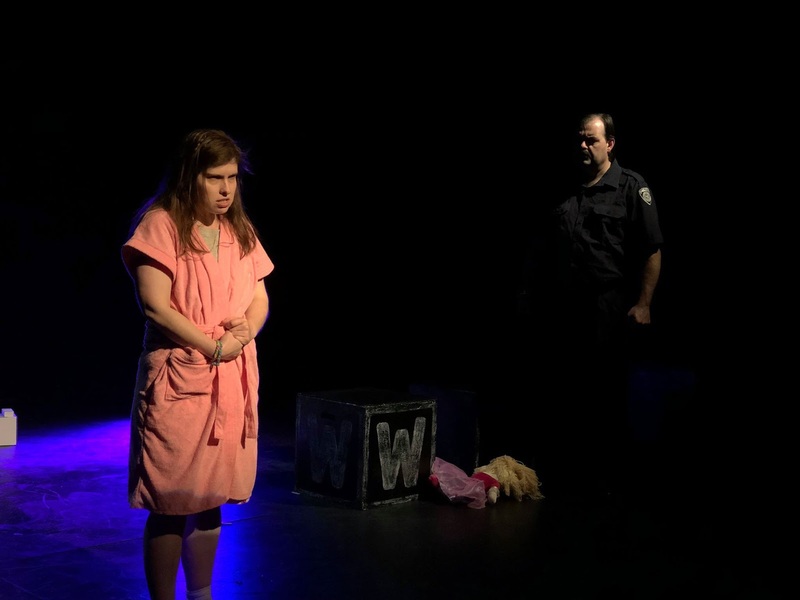 In the case of this production, their audience is forced to examine the darkness we are intrigued by and how we’d react if someone we love or we ourselves find ourselves consumed by it. 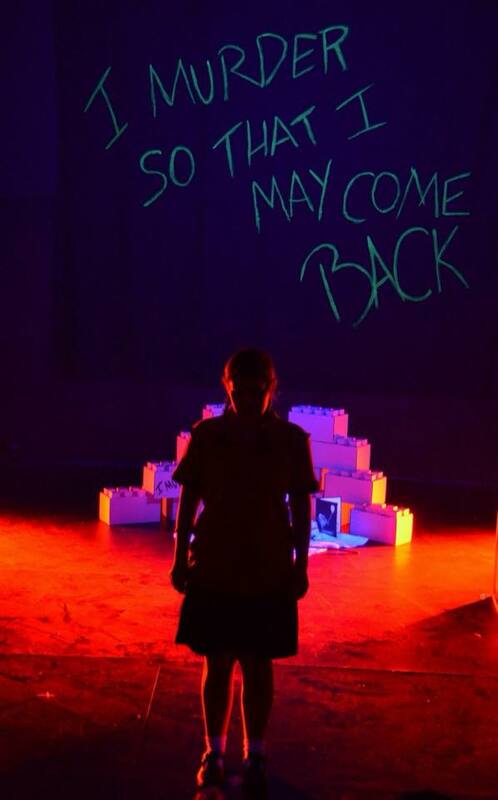 This is certainly a solid show to see, and a company to keep your eye on." 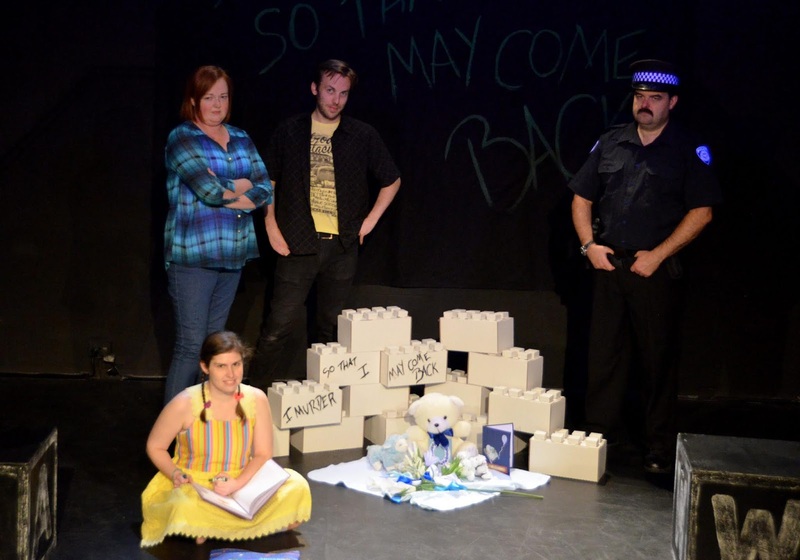 "Production designer Shannon Norfolk and director Kristin Telfer have wisely honoured the playwright’s suggestion, and left the acting area reasonably clear, dressing it with multi-purpose blocks much like outsized children’s building blocks and Lego. 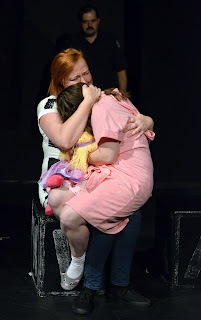 Hilary Bell’s script requests that Lizzie be played by an adult actor, and in this production it’s Shannon Gray, whose energy, physicality and vocal work make her a worryingly convincing child. Gray’s work lacks caricature; she balances the complex components of her character quite successfully. Despite some minor audibility and clarity issues, she’s the best thing on stage." "Sit back and watch as each actor faultlessly play their roles, most notably Shannon Gray as Lizzie Gael, the prime suspect of only nine years old. 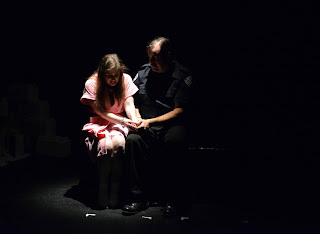 Her parents (brilliantly played by Heather Crawford and Lyndon Cullen-Reid) torn between protecting their child while also trying to ignore their instincts. Both fighting against the reality that their daughter may have done it. But did she? 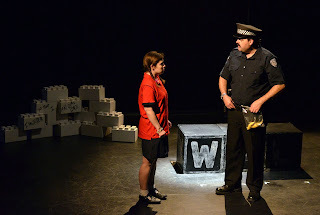 Damien White as Ray Armstrong, the police officer in charge of the case, is also impressive. His hard exterior eventually softens as he faces the reality that a nine-year-old could have committed this awful crime. The realisation at the end is thought-provoking and unsettling, all at the same time. 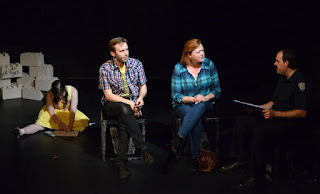 You can't help but be enthralled as this confronting subject is played out beautifully; you want to know more as you find yourself being caught up in the questions. How and why could this happen? This is for a limited season, so be sure to book your tickets here and watch out for any future work by this talented group of quality artists." "The story is as disturbing as it is sad and raises more questions than it answers. We are led to believe that Lizzie is responsible for the death of young Toby, who it is alleged she lured away from a local shopping mall. Lizzie seems rather detached from the shocking events and leaves her loving parents’ lives in turmoil. If you knew your child had committed such a crime would you protect them or make them face the consequences? This is just one of the questions the audience is left to ponder. For Oily Rag Theatre’s production the story unfolds on a sparse set, with large building blocks that double for seats. The lack of props means that actors are sometimes flailing in scenes and the lack of action dulls the pace. However, one can’t fault the actors’ intensity." "While Wolf Lullaby addresses multiple significant issues of contemporary life none of them get the more in-depth exploration that each of them warrants. That said, it is an entertaining work that offers its cast ample opportunity to develop their characters and the relationships between them. That is the play’s strength." 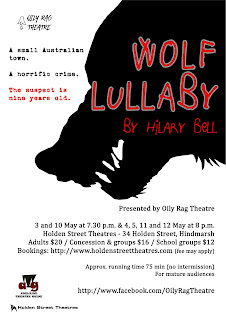 "New company Oily Rag Theatre is off to a fair start with their production of Hilary Bell’s 1996 Wolf Lullaby. This dark and brooding play concerns a nine-year-old girl, Lizzie Gael, who has, it is clear from the outset, killed another child ... Oily Rag, in keeping with their name, aim to cut their cloth to fit a microscopic budget, and to designer Shannon Norfolk’s credit, do a lot with a little." Tickets for all Adelaide Fringe 2019 shows are on sale, which means you can now buy yours for our local-history-with-a-dark-twist walking tour, Kreepy Kensington. We didn't actually plan on doing a second show in 2018. 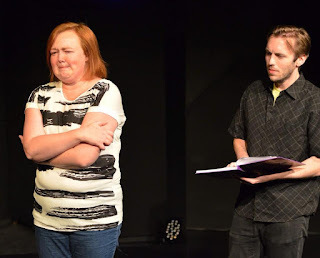 Then we got an invitation to register for the Back 2 Back Short Show Festival at Star Theatres, and whipped this quickie comedy out for two performances. ​ Thank you to Malcolm Harslett and the team at Star Theatres. SYNOPSISAn award-winning absurdist comedy written by Mindy Kaling and Brenda Withers, Matt & Ben is the story of two struggling young actors and BFFs, Matt Damon and Ben Affleck, and the day a screenplay falls from the sky onto the coffee table in Ben's apartment. The title: Good Will Hunting. The authors: them! Is this the big break Matt and Ben have been waiting for... or are they being tested by a higher power?